MEPs have today backed controversial reforms to online copyright laws, which critics fear will curtail freedom of information. The proposed changes would force Google and other online platforms to sign licensing agreements with musicians, performers, authors, and journalists so they can use their work. The European Commission says the aim of the reform is to protect the bloc's cultural heritage and ensure publishers and artists get fair compensation from web giants like YouTube. The bill, first proposed in 2016, has triggered debate, with Google and internet activists arguing it could pose a threat to the free exchange of opinions and culture online. What reforms are being put to vote? The main points of contention are Articles 17 (previously Article 13) and 15 (formerly 11). The first one, which has been described as the "meme ban", could mean sharing platforms such as Google, YouTube, and Facebook's Instagram would have to take more responsibility for copyrighted material being shared illegally on their platforms. The second one would force news aggregators — such as Google News — to ensure they only use "snippets" of news articles on their platforms. This was amended, as the original article planned for the practice to be banned altogether. Under the reform, the different platforms will be liable if their users upload or publish unlicensed content, such as photos, videos, source code or music, on their website. "The only realistic way platforms can avoid liability is to install upload filters, which would not only block illegal content but also content that is legal and protected by freedom of expression," Bernd Jutte, from the University of Nottingham, UK, told Euronews. The automatic filters will not only be expensive to create, thus favouring big companies who have more resources but also "simply cannot distinguish whether a use is legal or illegal," Jutte warned. "As a result, the variety of available online content, especially user-generated content will probably significantly be reduced. Online participation for private citizens will become more difficult," he added. Multiple voices have criticised the reform which they say will benefit big platforms and powerful rightsholders. These include the Wikimedia Foundation, for whom the reform "aims to radically control the sharing of information online," as well as World Wide Web creator Sir Tim Berners-Lee, whose #SaveYourInternet campaign blasts the reform "vague and overly broad wording." The campaign, which has received about five million signatures for its online petition, also argues the filters would not just tackle large companies, but smaller platforms too. More than 200 European academics also joined forces in a series of open letters in which they say "Articles 11 and 13 will do more harm than good," adding that "they should be deleted". Some EU countries have also voiced concern. Last month, Finland, Italy, Luxembourg, the Netherlands and Poland refused to support the internet reforms. According to Jutte, that's because "the proposed directive is also not based on sound empirical evidence which would justify, for example, the introduction of a new right for press publishers." "There have already been unsuccessful attempts to introduce such a right in Spain and in Germany, which is why it is hard to understand why it should now be introduced in all other Member States of the EU," he explained. Protests also took place across Germany on Saturday, gathering tens of thousands. #SaveYourInternet fears that by making platforms like Instagram, Youtube and Reddit liable for what users post on them means that they might just arbitrarily delete content based on their terms and conditions rather than because of a specific copyright claim. This would result in people having less choice as to where to share their creations and therefore users having access to less content online. Others also worry that it might heavily affect satirical content, which in the case of memes, for instance, relies heavily on pop culture references. But artists have voiced their support for the online overhaul. 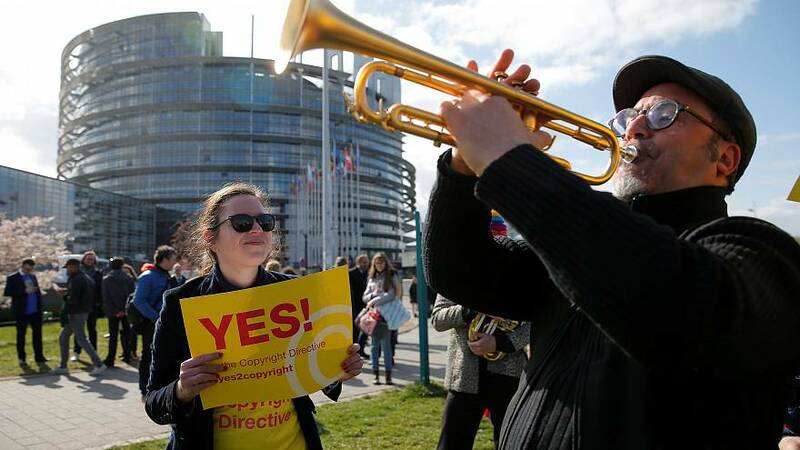 Film director Pedro Almodovar and Abba's Benny Andersson are among some of those who favour Article 13. 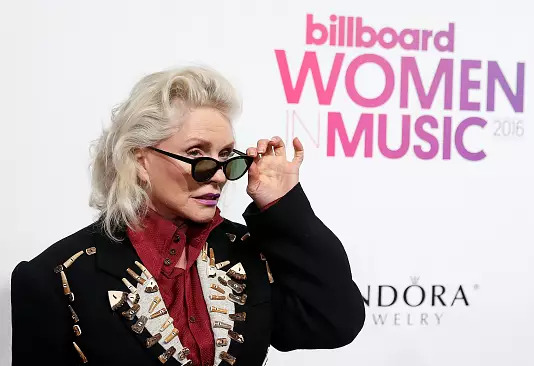 Writing in The Guardian, Debbie Harry, the lead singer of Blondie said the law would "significantly improve the ability of the creative community to secure fair deals for the use of their work by user-uploaded content services such as YouTube." Harry added that companies such as Google and YouTube "have used their financial power and reach" to lobby a law that would "secure" musicians' futures. Publishers and press associations have also largely welcomed the move arguing "that it would break the monopolies of the "internet giants", which freeride on content produced by online newspapers," Jutte said. An argument echoed by the Europe for Creators online group, which said that platforms such as YouTube can at the moment "pretty much do whatever it wants" and that Article 13 would allow "a wider variety of artists to monetise the use of their work."